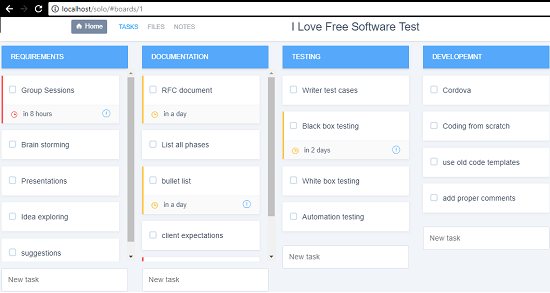 Solo is a free self-hosted personal Kanban Board to manage your projects. This is like normal Kanban Board that you use generally and there are some websites for it too. But here it lets you create personal boards to manage the project. It offers you a secure environment where you keep your personal Kanban Boards to manage projects and tasks. The Kanban board that it offers is very intuitive. You can create multiple Kanban Board in it corresponding to different projects and then add tasks in it. While adding tasks in board, it allows you to add other details as well such as notes, deadline, user assigned, and attach some important files. In addition to that, it also keeps additional files and notes separately in your account. Kanban Boards are very good tools to manage all tasks that you have to do in a project. And you should use them to manage your coding or any other tasks easily. And if you want personal Kanban Board for you then you can rely on Solo. It helps you manage your projects and corresponding tasks in a very efficient manner. 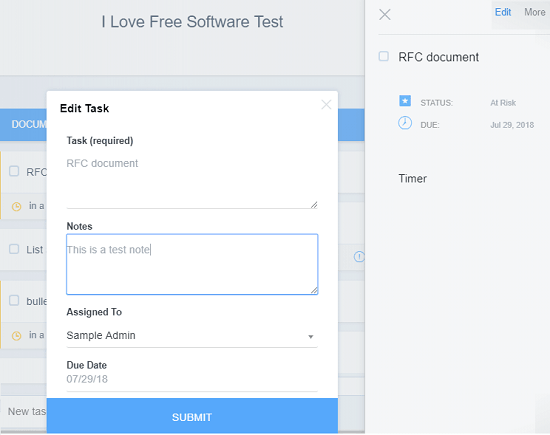 You can create, edit, and delete tasks easily and a timer to a specific task. Solo required a server with PHP and MySQL configured. If you are on Linux then you can easily do that. Or, you can buy server on DigitalOcean to host your instance of Solo. And if you want to use it locally on Windows, them XAMPP will do that for you and I will be using this for this post as well. To get the source code of Solo, simply go to its homepage and then you can enter your email address to get the download link. It will email you the download link to source code of Solo and then you can start installing it. 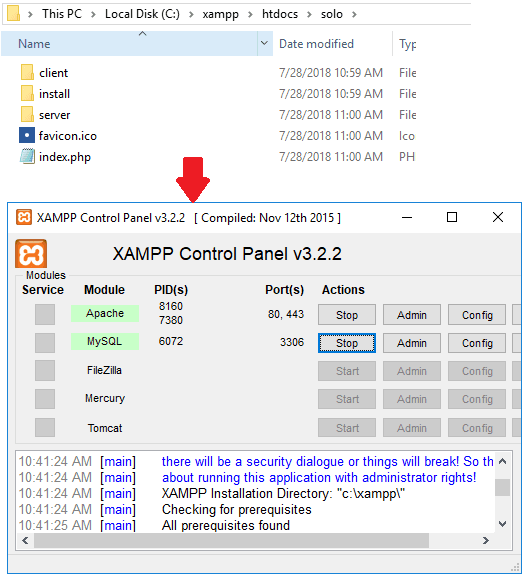 Install XAMPP from here and install it by enabling MySQL in the beginning of the installation. 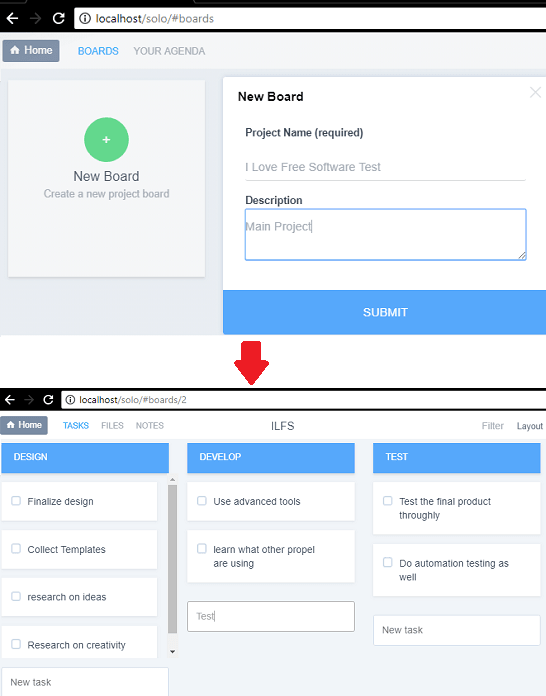 These steps will guide you how to set up and use this self hosted Kanban Board for free. Step 1: Extract the ZIP folder of Solo that you have downloaded in the htdocs folder of XAMPP. Rename the extracted folder to “solo” for simplicity. After that, run XAMPP control panel. 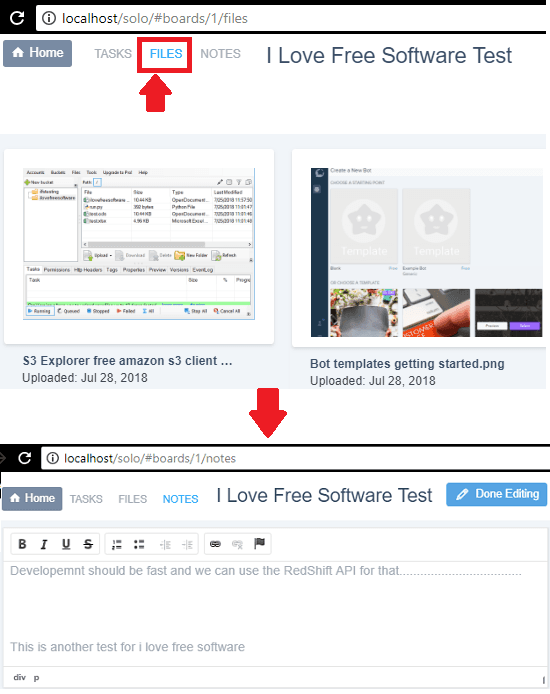 Step 2: Access Solo at “http://localhost/solo/“. If it’s the first installation, then it will take you to the installation page where you have to set up and configure it. Make sure that MySQL is running. After that, proceed with the installation and then in the end, it will show you the admin credentials that you can use change later. Step 3: Now, log in to main dashboard and create project. Give your project a name and then it will take you the project page. You can start creating the Kanban Board there. Specify the different tasks and phases and then start managing them. To add task, simple enter its name and press enter. Step 4: After you have added tasks, you can even edit them and even add more information to them. It allows you to add noted, attach files, assign users, add deadline to the tasks. To add these details, simple click on task and then from the right sidebar, hit the edit option to add notes, files, date, etc. See the screenshot below. Step 5: If you want to keep some files and notes related to your project then you can do that. Solo provides a separate section in it to save your essential files and notes. To add files and notes, simply use the Files and Notes section to manage them. The Files and Notes are project specific and its a good thing that they will not get mixed up with your other projects. After following these steps correctly, you will end up setting Solo on any server. And then you can start using it in any way you want. After that, you can start managing all the tasks in professional manner. However, you will have to configure it first which you may find boring if you don’t know how to deal with PHP applications like Solo. If you want a personal Kanban Board for you that you can host yourself then Solo is one of the best options. You can easily host on an external server or on host it locally on your PC. You get all the necessary features in this Kanban board which should be in any functional Kanban Board. So, if you are looking for some free Kanban Board then you can give Solo a try.